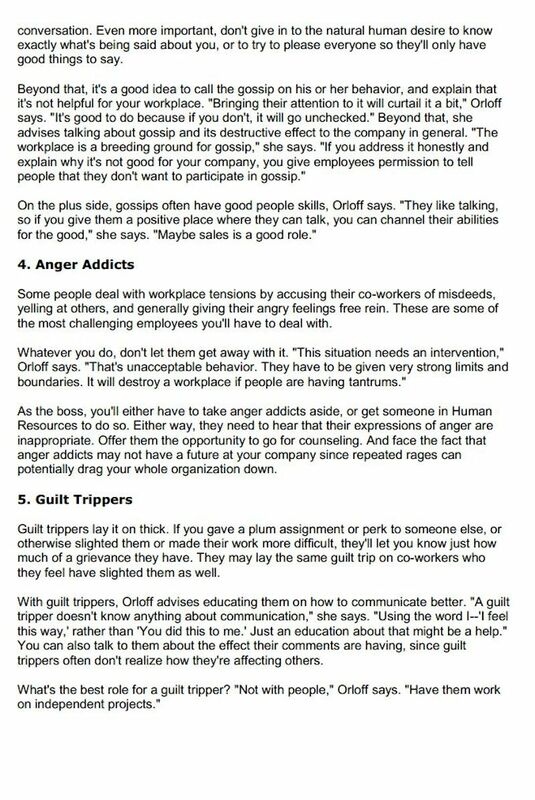 Managing tough personalities at work can be one of the most challenging aspects of our work day. It can also be one of the bigger frustrations in our overall life as these personalities often show up in our personal relationships too. From the narcissist, to the gossips, to the guilt trippers, these tough personalities find a way to push our buttons to the extreme. 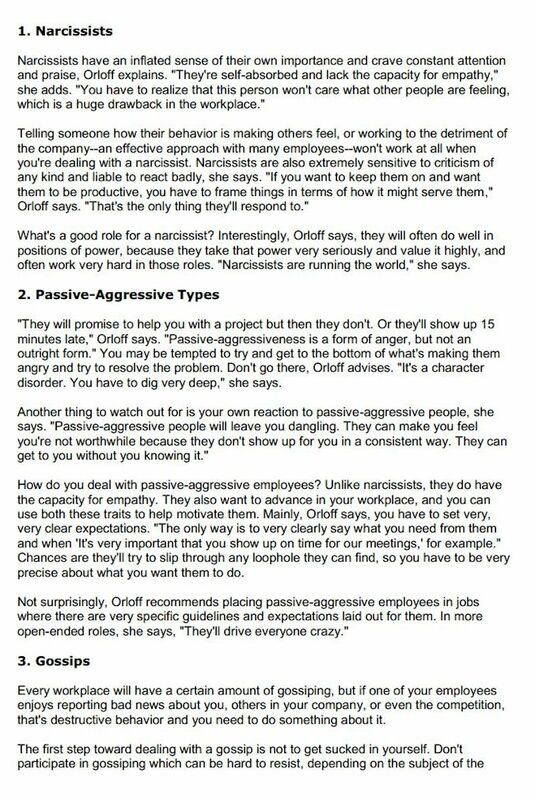 When we encounter a difficult personality at work, our knee-jerk reaction is usually to confront the person because we are triggered (which only escalates the hostility). Or we avoid the person all together (which only makes the problem worse). There is a better way to handle these situations. 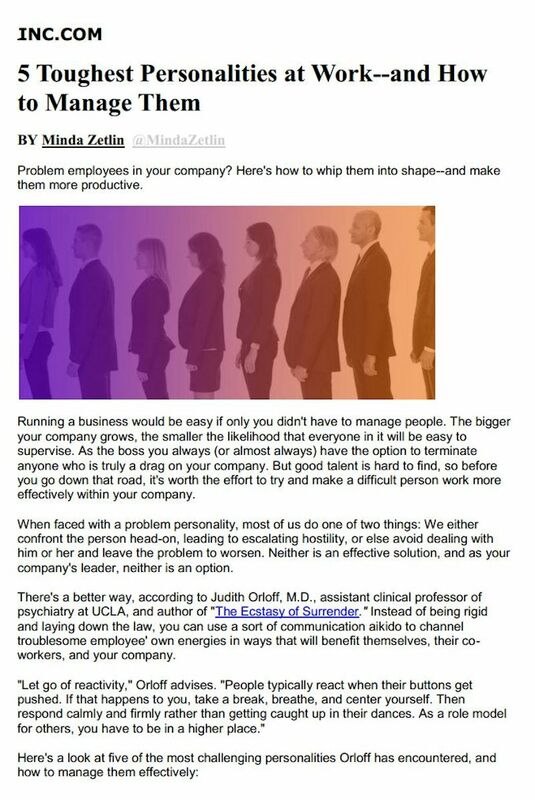 In this INC Magazine article, I share the top 5 most challenging personalities and how to manage them effectively. Knowing how to do this, allows you to be a role model and leader for others in your workplace and in life. Read the full article on INC Magazine here.